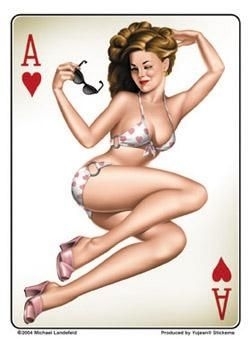 Pretty retro pin-up girl in her polka dot bikini is the Ace of Hearts! Look for all four card girls. 3.5"x5" sticker. Weather-resistant, extra long-lasting. Artist: Michael Landefeld.